We have some exciting news! Although we have been working with him for over a month now, we wish to introduce you all to Carlos Andrés Osorio Cardona, our newest Apotheosis Studios team member! Carlos, or CAO for short, is a super talented concept artist and illustrator specializing in environment and ship design. Super stoked to have him do some images with us for The Last Amazon along with our next project the Shadow of the Moon Illustrated Novella. This image is his first with us, showing a faraway shot of our Azureus Islands. We are super proud of his work, so excited to have him on the team, and stoked about his upcoming images, too. Below is a progress video showing his many drafts of this illustration! For those of you looking to get a second copy for a friend or loved one, we have a limited time 20% off pre-order coupon code for Kickstarter folks. Just enter KICKSTARTER at checkout! We don't yet have our prints and posters up for sale, but have all three versions of the book ready for pre-order along with all RUNE books and prints! This also includes the digital copy of TLA which can now be bought separately. I've discussed this with some of you via email, but if you have any questions, let me know! Below, I am going to include the various drafts of Carlos's image so you can see the progress. We love seeing how these images come together, and we hope you enjoy this window into our creative process. 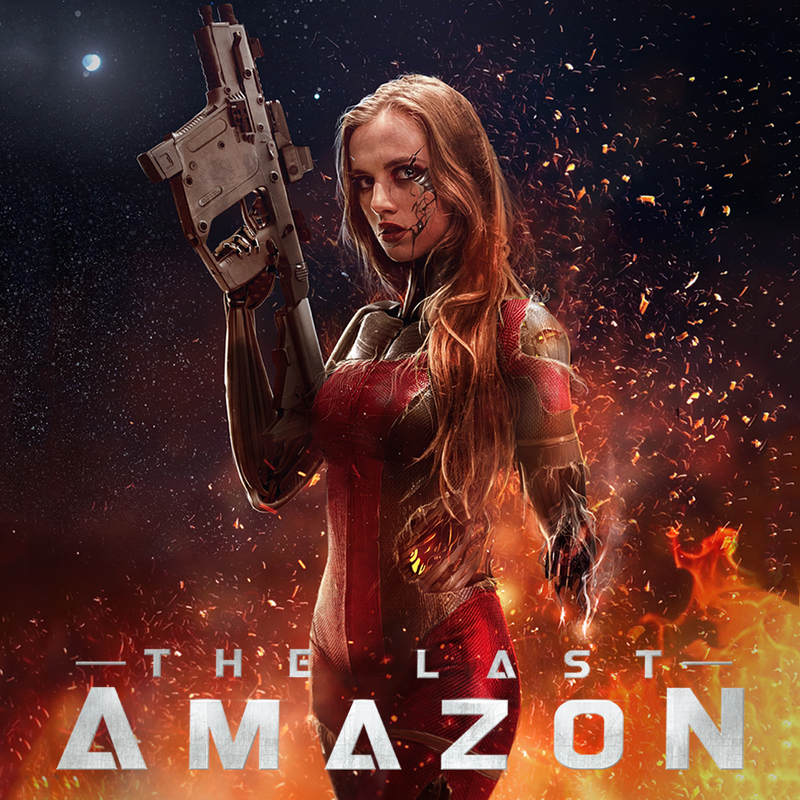 If you enjoy our updates like these, follow us on Instagram at https://www.instagram.com/thelastamazon/ because we post awesome content nearly every day! Enjoy, and once again, THANK YOU! Again, for more epic progress shots follow us on Instagram here: https://www.instagram.com/thelastamazon/ Enjoy!